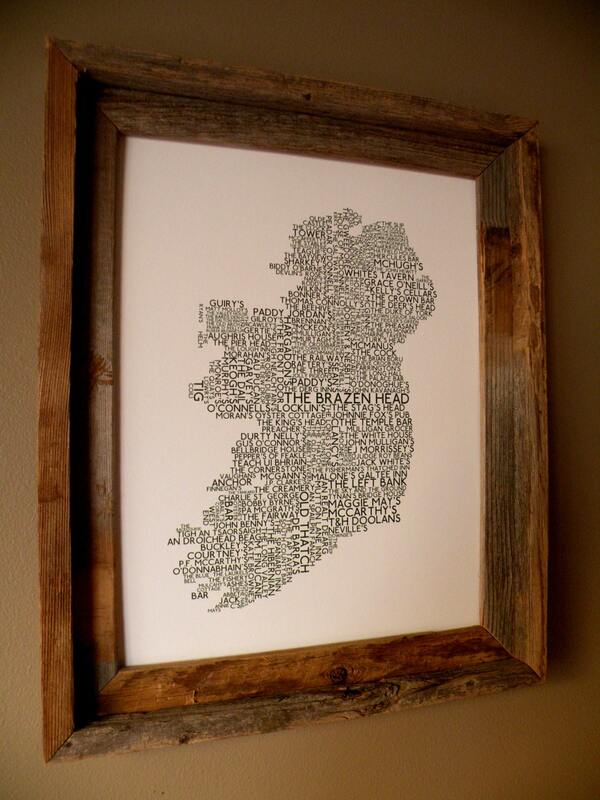 Do you ever find yourself sitting in an Irish Pub somewhere here stateside and wishing you were actually in Ireland? Well this print is perfect for you then! The best pubs from Dublin to Belfast are all here. 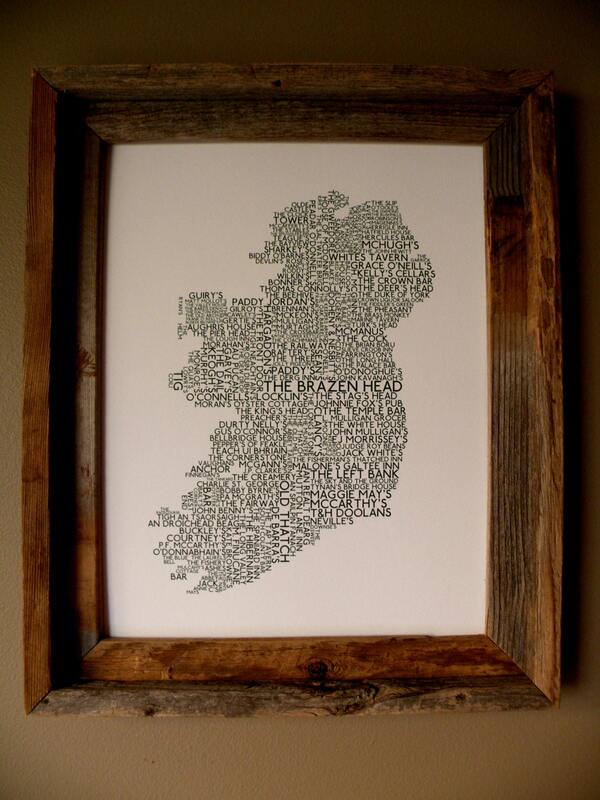 These are the places where Celtic tunes echo through ancient stone walls over a pint of Guinness. 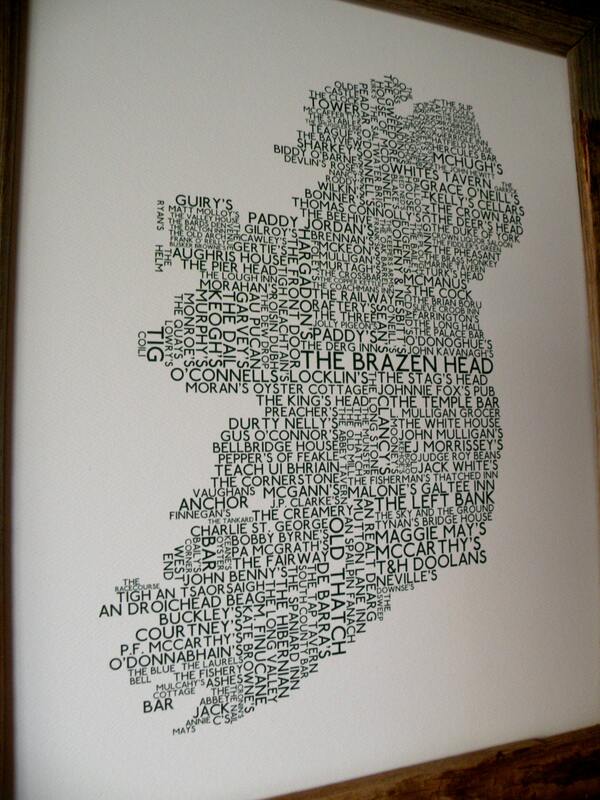 Some 200+ pubs from all over the Northern Ireland and Ireland are included in this amazing green 11x14 print!